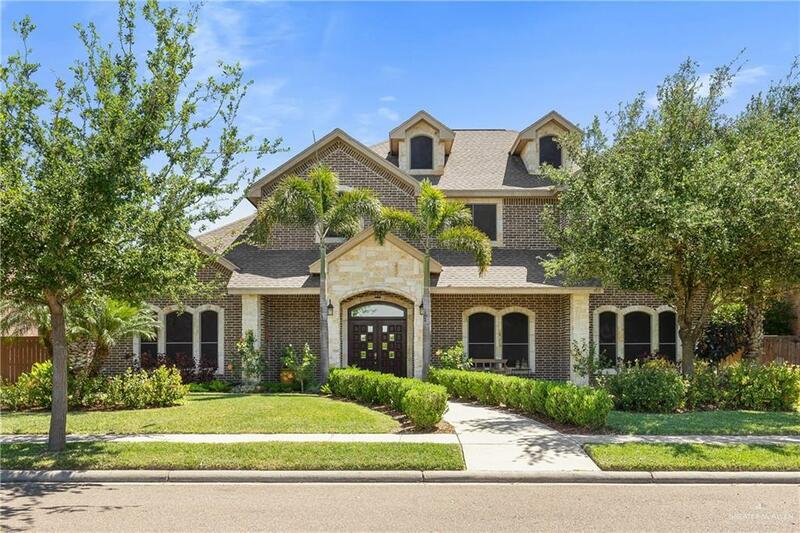 You'll love this MOVE IN READY 2 story home with an ideal floor plan! 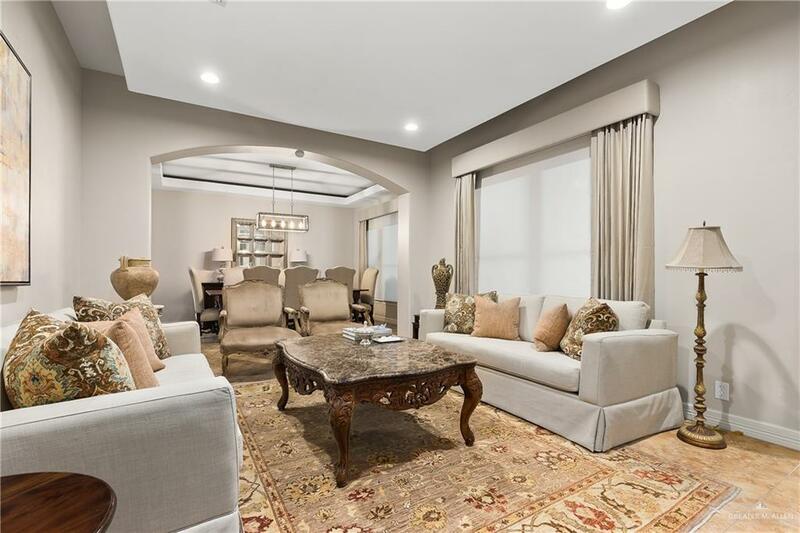 Featuring 4 bedrooms, 3.5 baths, a kitchen that's open to one of the living spaces, and a downstairs master w/spacious master bath with extra storage and walk-in closet. Make your way up the beautiful iron staircase into a great size loft followed by the rest of the bedrooms and 2 baths. 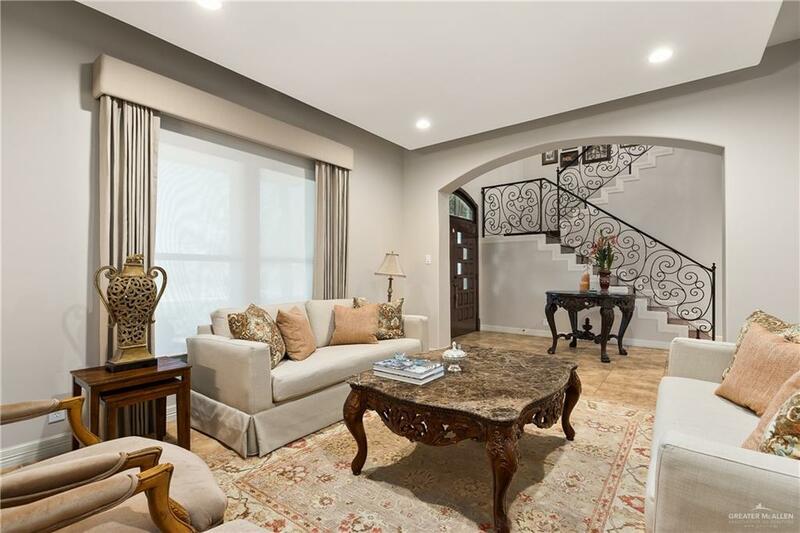 Details include hardwood flooring on stairs and all of the upstairs, high decorative ceilings, niches, upgraded window shades, exquisite light fixtures, granite counter tops in kitchen and baths, walk in closets, extra hall closets, spacious baths and more! Start your mornings by enjoying the amazing front view on the front porch and end your evenings with family/friends on the great size backyard patio. Don't miss it, schedule your appointment today! Listing by Alma Ruiz of Keller Williams Realty Rgv.